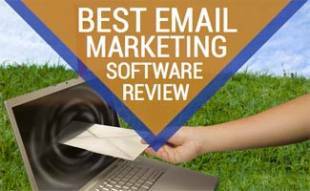 Not sure which email marketing service provider to use for your business? Two major players, Mad Mimi and MailChimp, are among the most affordable services out there — and they both offer a free plan (not a common occurrence for email marketing services). So, how do they compare in pricing, ease of use and features? 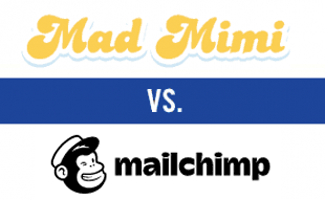 First, we’ll give you an overall review of each service and then delve into some of the most important features to see who wins the battle of Mad Mimi vs MailChimp. Customer support for both Mad Mimi and MailChimp somewhat lack compared to many other email marketing service providers. While both services have email support, good online tutorials, FAQ’s and other resources, neither service offers 24/7 customer support hours — or even weekend hours. MailChimp has live chat and email support with their paid plans. Unfortunately we’ve frequently gotten a message that their live chat volume was high, so there would be a significant wait time. Mad Mimi offers live chat that customers say is very responsive. And they say they’ll schedule a phone appointment with you if needed. Both Mad Mimi and MailChimp offer responsive templates, meaning they’ll automatically look good on any device — a must in email marketing these days. And they both have intuitive, easy-to-use drag-and-drop editors. But that’s all they have in common. Mad Mimi only has one template that you choose color themes around, and there’s very limited customization. On the other hand, Mail Chimp has several hundred ready-made templates that are easily customizable with many more design tools. MailChimp even provides you with raw code to help you build your own email templates. Mad Mimi and MailChimp both get high marks from customers on their deliverability rates — well into the 90th percentile. It’s harder to integrate unsubscribes into Mad Mimi than it is with MailChimp, but otherwise, it’s dead even. 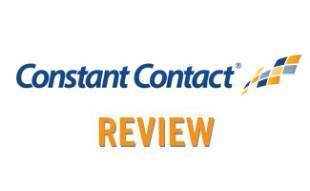 Both services offer basic autoresponders, but if you’re running an email campaign and want to send follow-up emails to certain customers based on their response to your previous emails (i.e. thanking them for signing up on your website, or making a purchase), MailChimp is the way to go. MailChimp’s advanced autoresponder functionality far suprpasses Mad Mimi’s tools. MailChimp also makes it easier to target a subset of your email list with its autoresponder interface. You also get autoresponders with MailChimp’s free plan. Both Mad Mimi and MailChimp provide detailed email tracking and analytical tools to help you gauge who’s opening and clicking through your emails. You can monitor subscriber activity, bounces, unsubscribes, click-throughs and generate revenue reports. MailChimp, however, gets the nod in this category. MailChimp provides Google Analytics integration and more sophisticated reporting, tracking and analytics than Mad Mimi. They also have social sharing tracking, which Mad Mimi lacks. MailChimp’s free plan is clearly the winner of the two unless you need unlimited emailing. If your mailing list, however, is above 2,000 subscribers and you don’t need all the bells and whistles, Mad Mimi deserves serious consideration. While Mad Mimi offers a solid set of basic features for an unbeatable price, you’re limited in what you can do. MailChimp, on the other hand, has nearly every feature you’ll ever need. How Can You Benefit From Email Marketing Integrations? One of MailChimp’s biggest strengths is the ability to integrate with 800+ third-party apps (Mad Mimi offers 85+ apps). But how do integrations work? And would you really use them? This video by BigCommerce shows you just how easy it is to integrate with MailChimp. Both Mad Mimi and MailChimp will get good-looking emails where you want them to go with little hassle on your end. The difference comes down to pricing versus more advanced functionality. MailChimp gives you a better free plan, but MadMimi is half the cost of MailChimp when you have higher volume subscriber numbers. On the other hand, if you need more advanced features like A/B testing or trigger messaging, MailChimp is an excellent choice. Mad Mimi is basic, which is their niche, but you just can’t do as much with your email campaigns. Both Mad Mimi and MailChimp are reliable options, but there are a ton of fantastic email marketing provider options. 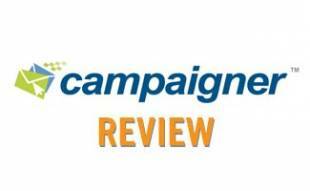 Be sure to check out our Email Marketing Provider Showdown for an in-depth analysis of 20+ major email marketing services. Are you willing to sacrifice some features to save money? Thank you for the review! While I have been doing my research on the best email services, I have seen both of these pop-ups often (of course MailChimp much more as it’s the largest one out there), yet I have seen some alternatives as well like Aweber, Convert kit, GetResponse and smaller ones like Mailigen and Mailerite. What I found out to be surprising is Mailerlite service. Even when comparing to mentioned Mad Mimi, it sound reasonably well packaged! (I am writing based on their [Mailerlite vs MadMimi] comparison). Would you consider switching to such smaller provider or rather stick with “well-known brands”? Maybe you have an opinion about this Mailerlite service? I’d appreciate any comments before making my final decision! I’m a French man starting in blogging, and I’ve got a free trial period with GetResponse, and I also tried Mad Mimi, Sendinblue (forget it) and Mailchimp. I love GetResponse for the quality of the templates and the easy way to get started. I had many difficulties to start with MailChimp, even if it was my 1st choice. Their website is not clear for me. And if you want an autoresponder service, you’ll have to pay $10 a month. What I like with Mad Mimi is the presentation of their site, but the integration of their templates is not as good as GetResponse. But the possibility to have a free plan with no restriction up to 100 subscribers is quite tempting when you’re starting a blog, no? If I want to continue with GetResponse, I’ll have to pay $15 a month, which is too much to start with. A payment by sent email could have been the right answer for a beginner. Too sad! I’m a user of GetResponse platform but I think that Mad Mimi is a better choice than Mailchimp for a beginner user.